Another year has passed, and it's about time we started the annual Oscar predictions for 2015. As many of my readers know, I usually try to review every movie that's nominated for each major category like "Best Original Screenplay", "Best Picture" and etc before writing these predictions. However, due to time constraints, I'm forced to publish this out first before i can do that. Don't get me wrong, I'm still planning to review every single movie that was nominated for "Best Picture", "Best Animated Feature", and received a "screenplay" nomination. Plus, I will review all the movies that feature the actors nominated for Oscars this year, as you can expect to see those published in the coming weeks. Also, for those of you unfamiliar with these prediction hubs that I do, I only go over my thoughts on the major categories, since a lot of these predictions are time consuming. Take in mind, none of these predictions reflect who I would like to see win an Academy Award, as these are merely based on my own research and observations on who might have the best chance to win an Oscar this year. Whether you agree with this hub or not, it's all opinionated, so feel free to share your thoughts in the comment section below. Without further delay, I think it's about time we get this show started. 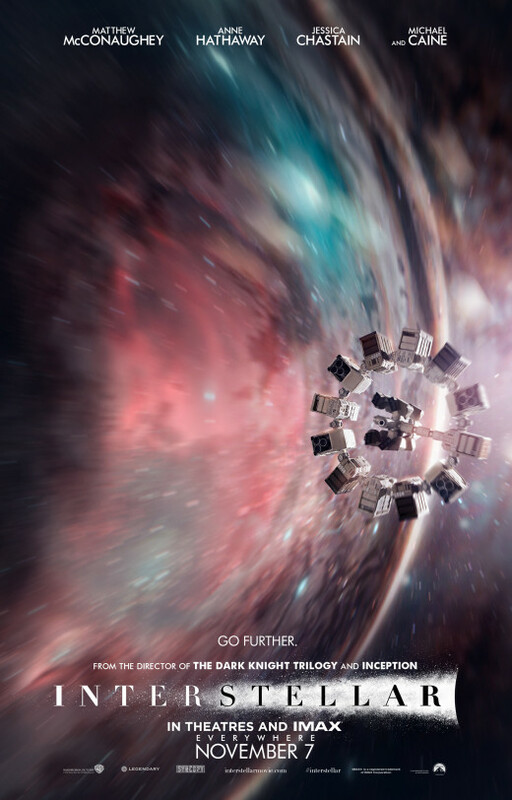 Interstellar- Although I might be playing Devil's advocate with this prediction, I strongly believe that "Interstellar" seems poised to take away the Oscar for "Best Visual Effects" this year. The reason I say this is because of last year's winner, "Gravity." Say whatever you want about the quality of "Gravity", but one thing that even it's haters can't deny is that the visuals were by far some of the best we've seen in cinematic history. And you want to know the funny part about it? The visuals you see in Christopher Nolan's science fiction epic, "Interstellar", blows "Gravity" away tenfold. Everything from the visuals to the cinematography makes "Interstellar" such a visual treat to watch, which makes it very surprising that it wasn't nominated for "Best Cinematography" as well. In fact, why wasn't Nolan nominated for this visual masterpiece? Although I can't say I'm a hundred percent confident in this prediction, but I wouldn't be the least bit surprised if "Interstellar" takes the award here. Dawn of the Planet of the Apes- Originally, I was a bit torn making this prediction simply because I firmly believe "Dawn of the Planet of the Apes" has arguably some of the best motion capture visuals that we've ever seen since "Rise of the Planet of the Apes." 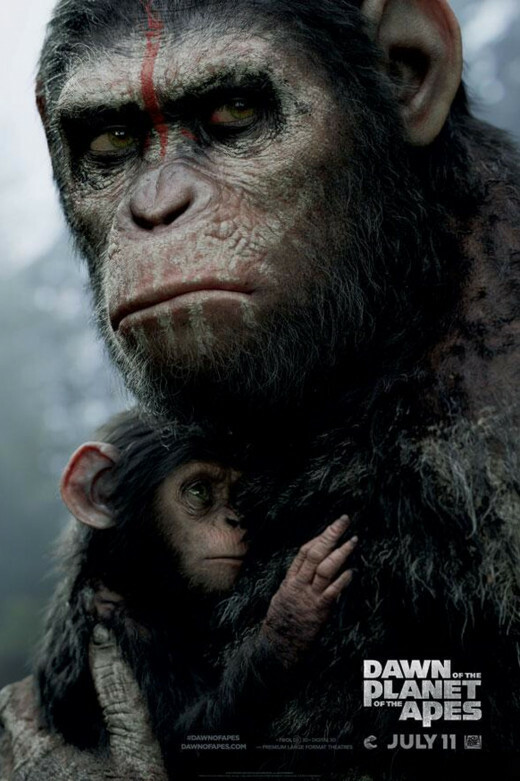 In fact, one could argue that "Dawn of the Planet of the Apes" rightfully deserves the award this year; especially when you consider the fact that it's prequel should've won in 2012 against "Hugo." Not that "Hugo" had bad visuals or anything, but "Rise of the Planet of the Apes" was clearly more deserving in that category in 2012. And in 2014, you can make the exact same argument about how vastly superior the visuals are in "Dawn of the Planet of the Apes", when you compare it to the other nominees in this category. Seriously, I wouldn't be able to disagree with you if you wanted to make an argument for why this movie could take the coveted prize in this category. However, that doesn't distort the sad reality about this situation. As revolutionary as the visuals were in "Dawn of the Planet of the Apes", the reality is that it's nothing new that you didn't see in the last "Planet of the Apes" movie. Granted, you could argue that maybe the voters for this year's Oscars might be looking to redeem themselves after NOT voting for "Rise of the Planet of the Apes" in the visual effects category, in the Oscar race of 2012. However, it seems very unlikely at this point, but I wouldn't be the least bit surprised if it does pull off the upset; in spite of everything I just said. 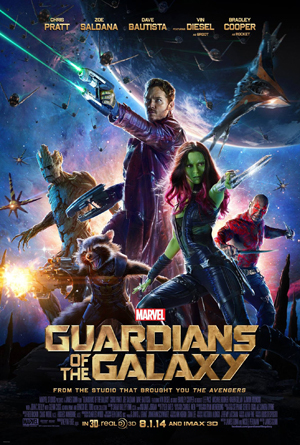 Guardians of the Galaxy- Not only was "Guardians of the Galaxy" one of the biggest box office draws of last year, but it was also considered one of the best superhero movies ever conceived, by both critics and audiences alike. Although Marvel Studios has given us a lot of great movies over the years, the surprising thing is that they've never won a "Visual Effects" award from the Oscars before. Although I doubt this year will be any different, I do believe that "Guardians of the Galaxy" will probably be Marvel's best shot at taking it this year. Not only were the visual effects excellent, but it's amazing how well the motion capture characters were integrated so well into the live action ensemble cast. Sure, Marvel fan boys can argue all they want about which "marvel studios" film is the best overall, but in terms of visuals, there's no debate at this point. Until we see what Whedon has in store for us in "Avengers: Age of Ultron", "Guardians of the Galaxy" remains the best Marvel Studios film ever made, in terms of special effects. Captain America: The Winter Soldier- At the risk of angering a lot of internet fan boys out there, "Captain America: The Winter Soldier" has a zero percent chance of winning this award. Although I personally loved the movie myself, the reality is the visual effects it featured didn't deliver anything that we haven't seen before. Would you honestly say the visuals in this movie rivaled the groundbreaking technology that "Dawn of the Planet of the Apes" had going for it? Would you say the cinematography and visuals surpassed the excellent craftsmanship that we got in "Interstellar?" Look, I loved the movie just as much as the next fan boy out there, but the reality is the visual effects weren't anything special. Granted, they served the story quite well, but it wasn't anything ground breaking. 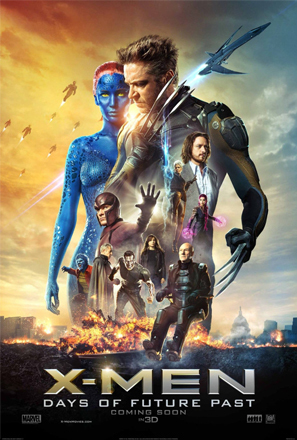 X-Men: Days of Future Past- As I mentioned in my review of this movie, "X-Men: Days of Future Past" had some of the best visuals that I've ever seen in an "X-Men" movie before. In fact, I'll concur with anyone says it deserved it's nomination. However, the reality is the 70's Sentinels still looked a bit fake-ish at times, which could hurt it's chances at winning this year's "Best Visual Effects" award. Which movie do you think deserves the Oscar for "Best Visual Effects?" The Grand Budapest Hotel- After doing a bit of research into this situation, this could be the year that Wes Anderson finally earns his first Academy Award. Not only did the film recently win an award at the "Writers Guild" Awards, but it's also tied with "Birdman or (The Unexpected Virtue of Ignorance)" for the most nominations this year. Now, it's doubtful that it'll win any major awards like "Best Picture" or anything like that. However, this could be the year that Wes Anderson finally gets the recognition he truly deserves. "The Grand Budapest Hotel" may not have been the biggest blockbuster of last year, but it arguably one of the most cleverly told stories ever portrayed on the big screen. 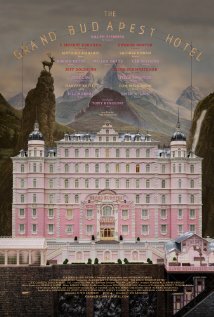 And with it coming off other victories at the Golden Globes and BAFTA awards, I wouldn't be the least bit surprised if "The Grand Budapest" wins this category. Birdman or (The Unexpected Virtue of Ignorance)- Although "The Grand Budapest Hotel" probably has the best chance to win, I wouldn't sleep on this one either. Not only was the film emotionally deep, with a lot existential messages about life, but it was also a clever satire on the Hollywood industry, which might garner a lot of voters this year. After all, if one thing is true, it's that Oscar voters love voting for movies that relate to the film industry. Heck, "The Artist" and "Argo" are proof of that. And with the superhero genre of movies becoming popular these days, it seems only fitting that a witty satirical film that references the genre might have the best chance to steal the coveted prize for "Best Original Screenplay." Boyhood- Although "Boyhood" was released back in August of last year, it's still getting quite a bit of buzz around Oscar time, which might bode well for it's chances. Add in the fact that Richard Linklater himself admitted that the script was a constant collaborative process between him and his young star, Ellar Coltrane, during a twelve year filming period, and it's easy to see why this movie is being praised as arguably one of the most innovative films of all time. 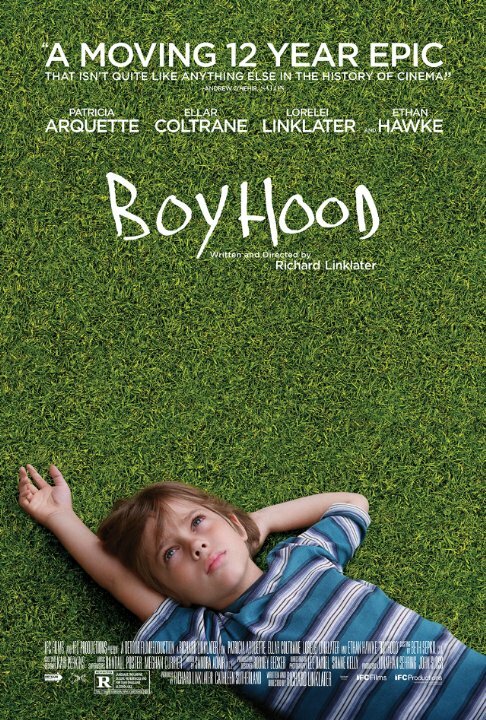 Granted, "Boyhood" doesn't have the most Oscar nominations this year, but I wouldn't underestimate it either. "Boyhood" was a great film that deserves all it's praise, as it featured a unique concept that no other filmmaker ever tried before. The concept of the story itself is unique in that it's about life in general. How life is filled with nothing but random moments that sometime won't make any sense. It's an interesting story for what it is, and it's certainly one that's chalked full of emotional depth. Although "Birmdan" and "The Grand Budapest Hotel" might be the two front runners for this category, I wouldn't be the least bit surprised if "Boyhood" takes the award instead for "Best Original Screenplay." Nightcrawler- To be honest, "Nightcrawler" was arguably one of the best movies of last year, and it rightfully should've garnered Jake Gyllenhaal a nomination for "Best Actor" this year. Sadly, he wasn't nominated, and I doubt "Nightcrawler" will have much success in this category either. Sure, the story was great, as it featured a deep character study; that also highlighted a dark social commentary about today's media being more obsessed with ratings than reporting actual news. 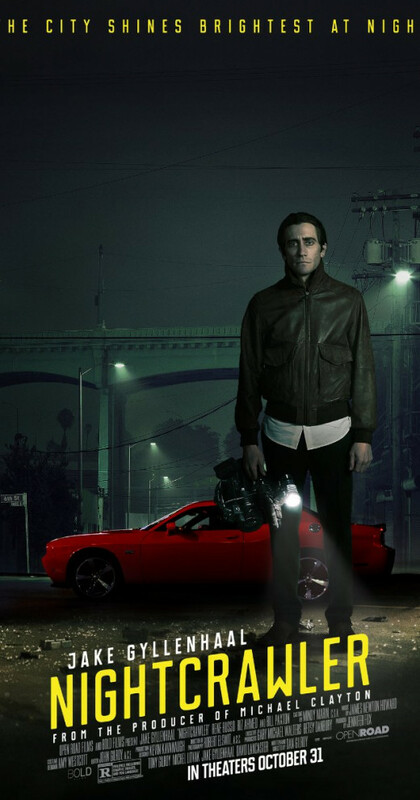 However, with limited Oscar buzz and only one nomination to it's name, it's looking very doubtful that we'll be seeing "Nightcrawler" pull away with the Oscar here. Granted, it would be nice, but I wouldn't bet on it. Foxcatcher- Although "Foxcatcher" has been getting universally praised by both critics and audiences alike, the reality is that it has no shot to win this award. 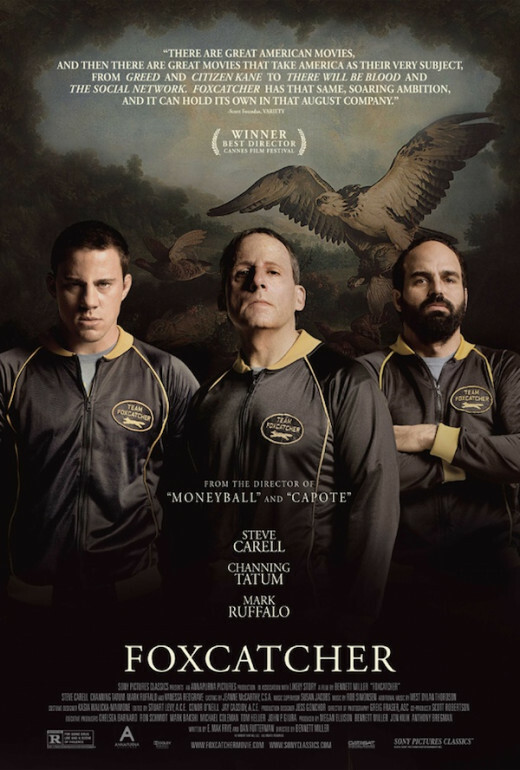 From my research on this film, "Foxcatcher" hasn't won that much at any of the other major movie awards like "The Golden Globes", BAFTA, and etc. Therefore, it's highly doubtful it'll pull away an upset in this category. Which movie should get an Oscar for "Best Original Screenplay?" Imitation Game- Although "Imitation Game" hasn't been getting as much buzz around Oscar time as other films like "Birdman" and etc, it still has a great chance to pull away with the Oscar for this category. 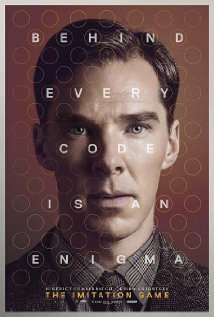 The film is based on a true story, and it provides a deep character study about a man that struggles to not only deal with his homosexuality, while acting as a historical piece depicting how we managed to crack the infamous Enigma machine that was used, by Nazi Germany in World War II. The end result is arguably one of the best movies ever made, as "Imitation Game" tells a deeply rich emotional story. And with it's latest run at winning at this year's "Writers' Guild Awards" for "Best Adapted Screenplay", then it wouldn't be all that surprising if this film walked away with Oscar for the exact same category. 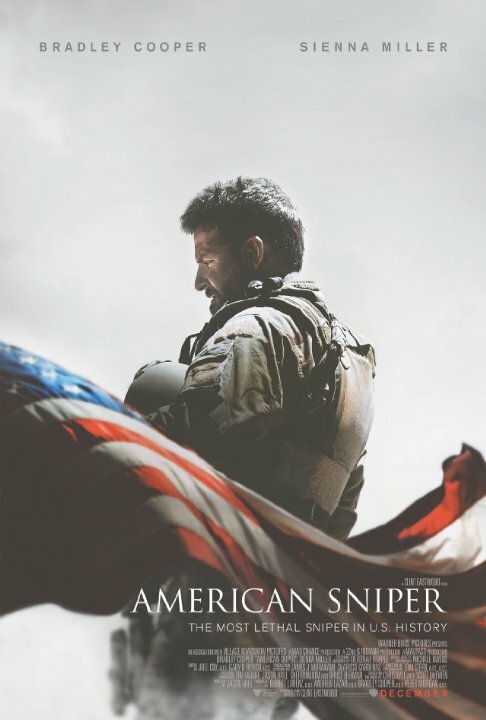 American Sniper- If there's one thing that the Oscar voters love, it's being politically correct. 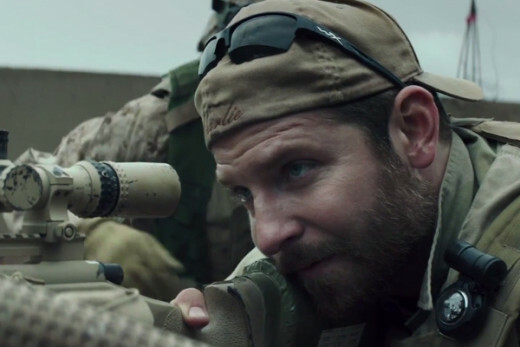 "American Sniper" wasn't the best movie of last year, but it's arguably the most popular film at this year's Oscar race, with it's pro patriotic themes; earning more money than all the other films nominated for "Best Picture" combined. And given the current state our country happens to be in, it wouldn't be all that shocking to see "American Sniper" pull away with an Oscar in this category. Would it deserve to win an Oscar for "Best Adapted Screenplay?" Certainly not. It never should have been nominated, but it's all politics. Sometimes, the Oscar voters will vote based on politics, as it was revealed with that controversial "12 Years a Slave" voting. Therefore, I wouldn't count out "American Sniper" stealing this award. 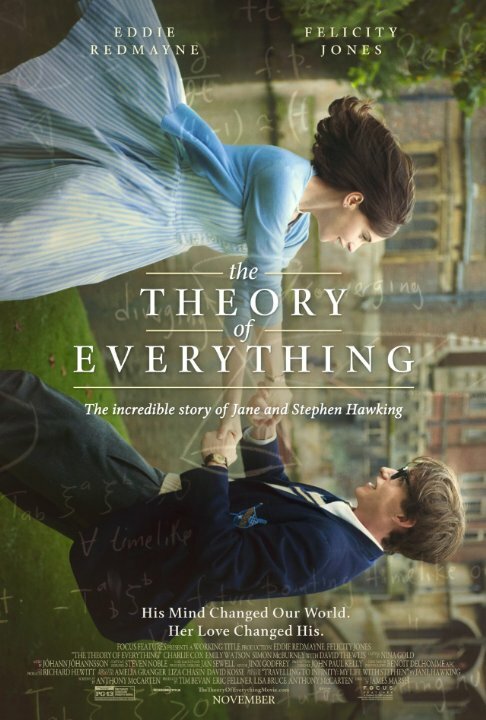 The Theory of Everything- Another hot movie coming into the Oscar race is "The Theory of Everything." The film is based on the life story of Steven Hawking, as it depicts his struggles with "Motor Neuron Disease", while he achieves academic success. It's an interesting film that highlights Steven's professional and personal life to the point that you can't help but feel a deep admiration for the guy. As we've seen before, the Academy loves true stories that feature deep messages about life (i.e. "Lincoln"), so "The Theory of Everything" could prove to be a dark horse in this category. Not to mention winning a BAFTA award for the exact same category doesn't hurt it's chances either. 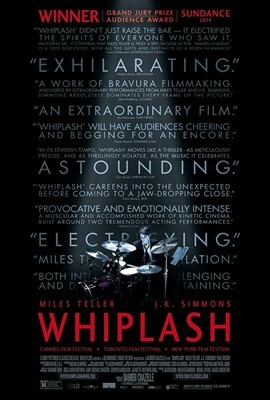 Whiplash- The film itself was an engaging character study about a protagonist being pushed to the brink of his own sanity, in order to pursue success. And it raises various questions on how far should we go in society to achieve success. Sure, there's the old saying how adversity defines character, but do we tend to take things too far? It's an interesting character study that raises so many questions about aspiring for greatness that it's easy to see why anyone would come to love this movie. And from looking at imdb.com, it seems "Whiplash has been gaining a lot of success lately, as it's already won 60 awards out of it's 82 nominations it's garnered for various other award shows. However, it struck out at the big name ones like "The Golden Globes" and "BAFTA" earlier this year, so it's doubtful it could win this category. Inherent Vice- Although "Inherent Vice" was probably one of the best movies of last year, the sad reality is that it hasn't gotten nearly the amount of love that it truly deserves. The film has only gotten two nominations for the Oscars this year, and it doesn't seem likely it'll pull off any kind of upset considering it wasn't even nominated in the "Writers Guild Awards" either. It's a nice nomination to be sure, as it'll just be another great movie to add to Paul Thomas Anderson's already impressive resume. However, I'd be lying if I said this film had any kind of chance to pull off an upset here. Patricia Arquette (Boyhood)- As many moviegoers might be aware of, "Boyhood" is probably one of the hottest movies coming into the Oscars right now. And, it's no secret that Patricia Arquette has been dominating in this category for various other awards shows. She's recently won a BAFTA, SAG and Golden Globe for her performance in "Boyhood", so it wouldn't be that much of a stretch to see her take home the Oscar for this category. 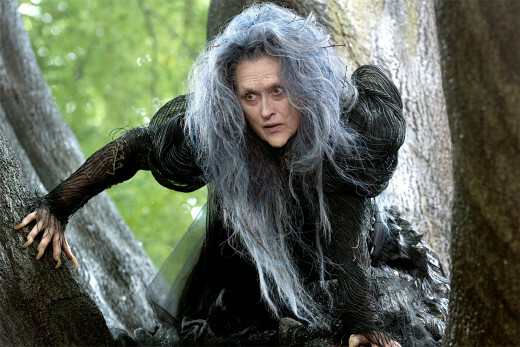 Meryl Streep (Into the Woods)- There's an old saying in sports that you should never bet against the best. I certainly never would've bet against Michael Jordan in his prime, nor would I vote against the New England Patriots now. And like all greats, Meryl Streep is arguably the best in her craft, when it comes to acting. Although this award seems to be Patricia Arquette's to lose, I wouldn't be surprised if Meryl Streep pulls off the upset here. Take in mind, there's a reason why she currently holds the record for most nominations ever received for an actress, as Hollywood adores her. She's arguably one of the greatest actresses of all time, so if anyone could pull off an upset here, then it would probably be her. Laura Dern (Wild)- There's been plenty of instances where an actor has gotten an Oscar for their career versus their acting performance for the film they were nominated for. (i.e. Martin Landau in "Ed Wood") And seeing how Laura Dern hasn't won an Oscar in her career, it's plausible that she could be a potential dark horse in this category. However, Patricia Arquette hasn't won an Oscar in her career yet either, and she's been dominating at various other major award shows lately for her role in "Boyhood." Therefore, I wouldn't count on Laura Dern walking away with an Oscar this year. Maybe she'll get one eventually, but it certainly won't be this year. Emma Stone (Birdman)- I cannot say enough good things about "Birdman or (The Unexpected Virtue of Ignorance)." Not only was it one of the best movies of last year, but it's arguably one of the best of all time. Emma Stone was great in it, as she played the daughter of a famous Hollywood actor, while dealing with daddy issues and a bit of a drug habit. Her performance was both mesmerizing and captivating to watch on the big screen. In fact, I predict that if she keeps going with the direction she's heading, then Emma Stone could go down as one of the best actresses of all time. Sadly, I'd be lying to a lot of my readers if I said that she might have a chance to win an Oscar for this role. As great as her performance was in "Birdman", it wasn't anywhere near the emotional potency that Patricia Arquette brought to her role in "Boyhood." In fact, most of Emma's best moments in "Birdman" resonated from her chemistry from the rest of the cast; which is something even the SAG awards acknowledged this year, when the film won "Best Ensemble Cast." Therefore, I wouldn't count on her winning this award. Although I certainly wouldn't complain if she somehow won it anyway, but I wouldn't put money on it. Keira Knightley (Imitation Game)- Apart from "Best Adapted Screenplay", I doubt this film will win any other major award this year. The reality is the competition is way too steep for it, and "Imitation Game" hasn't been getting as much buzz around Oscar time as other contenders like "Birdman", "Boyhood" and etc. 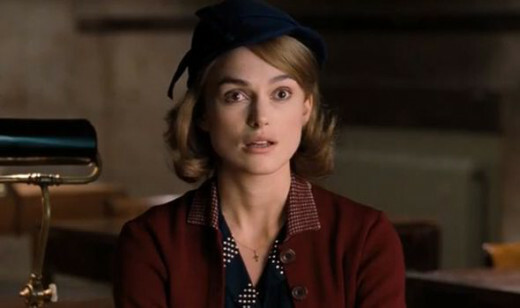 Therefore, I doubt seriously we'll be hearing any kind of acceptance speech from Keira this year. Don't get me wrong, she had a great performance in "Imitation Game", and her chemistry with Benedict Cumberbatch was spot on. However, it's not going to be enough to win her Oscar this year. However, one can only hope this nomination does mean that she's officially moved from those poorly received "Pirates of the Caribbean" films. Who do you think should win "Best Supporting Actress?" 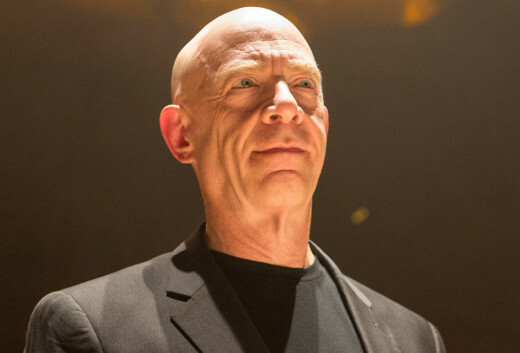 J.K. Simmons (Whiplash)- If any other actor wins this category, then I'm going to be very surprised. Not only has J.K. Simmons been an Oscar favorite heading into this category, but he seems to be sweeping all the major award shows thus far for his performance in "Whiplash." Therefore, why should we believe it'll be any different coming into the Oscars? While "Whiplash" might be a long shot to win "Best Picture", this category seems like a sure thing for J.K. No disrespect to the other actors, as everyone played their parts well. However, none of them came close to the same mesmerizing performance that J.K. delivered in "Whiplash" that drove the story's narrative as well as he did. And out of all the actors nominated here, he manages to deliver arguably the most memorable performance out of all of them, which makes him almost a shoe in to win this year. 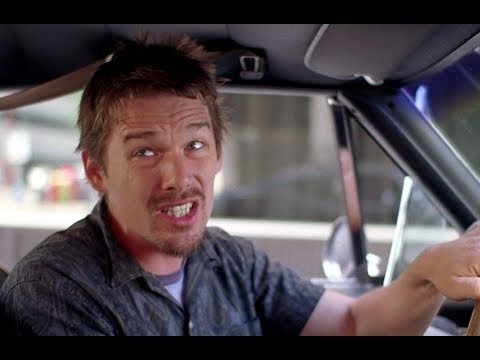 Ethan Hawke (Boyhood)- While a bit of a long shot, he still managed to deliver a solid performance in "Boyhood." In the film, Ethan plays sort of an every man, who's obviously made some mistakes in his life. However, he's never above admitting when he's at fault. Ethan's calm silent demeanor acted as a perfect contrast to Patricia Arquette's emotional performance. Plus, it doesn't hurt that "Boyhood" is one of the hottest movies coming into this year's Oscar race. 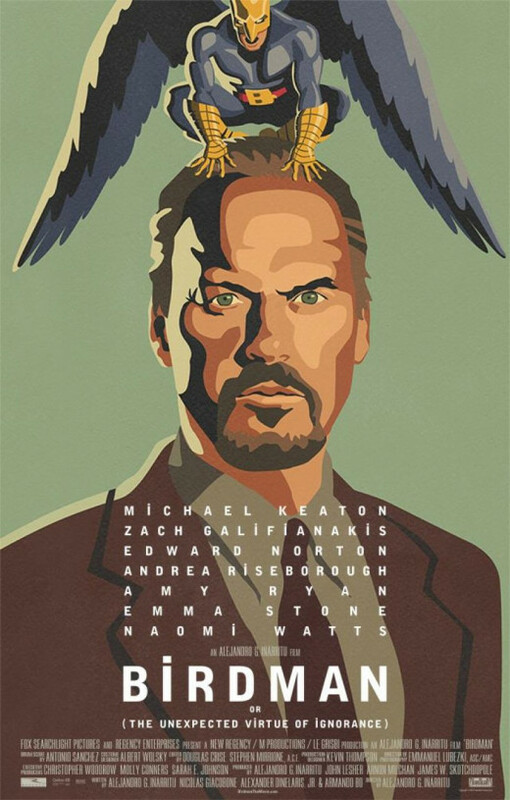 Edward Norton (Birdman)- Like Ethan Hawke, Norton is a bit of a dark horse in this category as well. 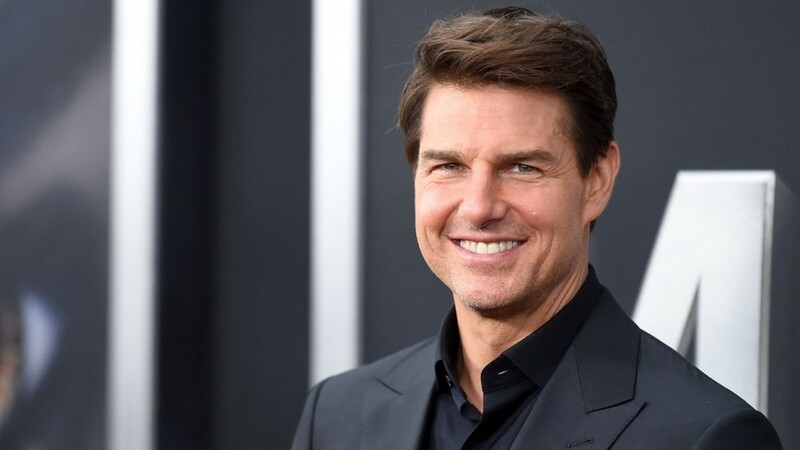 However, he did have a strong performance in "Birdman", and it's favored to possibly take "Best Picture" this year, so it might help his chances. Granted, J.K. Simmons is obviously the actor to beat in this category, but I wouldn't sleep on Edward Norton here either. Robert Duvall (The Judge)- As much as I loved "The Judge", the reality is that it hasn't been getting a lot of love around Oscar season this year, with only one nomination to it's name. 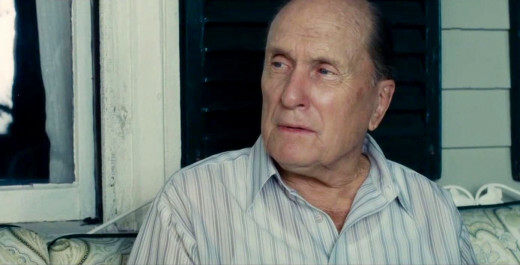 Add in the fact that "The Judge" has been getting a lot of mixed reviews by film critics, and you can easily see why Robert Duvall's chances of winning "Best Supporting Actor" might be a bit slim, to say the least. Sure, it'll be a nice nomination to add to his already impressive resume, but I wouldn't hold your breath on him giving out any acceptance speeches this year. Mark Ruffalo (Foxcatcher)- As much as I loved Mark's performance in "Foxcatcher", the reality is his performance wasn't anywhere the near the level that J.K. Simmons brought to "Whiplash", nor is it anywhere near as memorable as what we've seen from Norton in "Birdman." 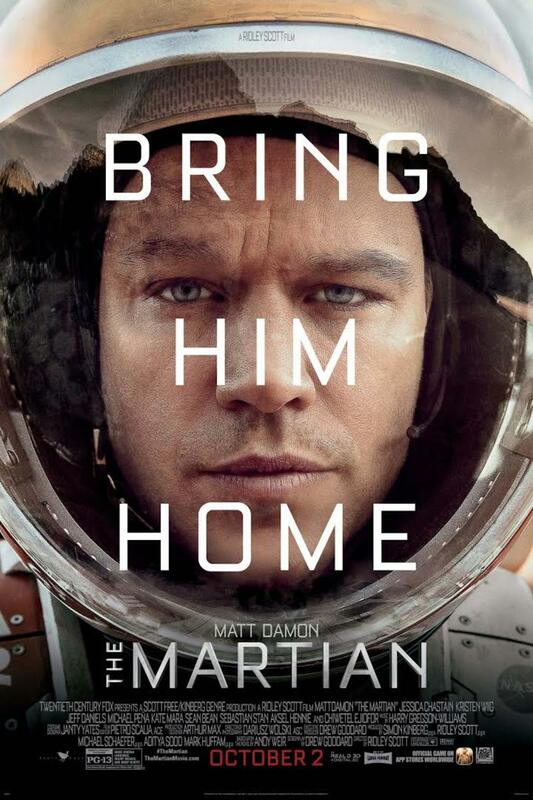 Hence, it'll be quite surprising if Mark wins an Oscar here. Who do you think deserves the Oscar for "Best Supporting Actor?" Julianne Moore (Still Alice)- Considering she's already won an acting award at all the big name ones like the Golden Globes, SAG and etc, I seriously doubt it'll be all that much different in this year's Oscar race. Granted, all the ladies nominated in this category did a tremendous job playing their perspective roles, but the sad fact of the matter is that none of them came close to the same emotional shattering performance that Julianne did. Not only did she deliver arguably one of the best performances of last year, but she sold you on the prospect that she was actually suffering through alzheimer disease that it was almost felt too painful to watch. Rosamund Pike (Gone Girl)- When I originally saw "Gone Girl", I would've sworn to anyone that Rosamund Pike would be a shoe in to win the Oscar the following year. Wow, it's amazing how much has changed since then. Before saying why I think she's a possible upset contender, I would like to warn my readers that this might get heavy in spoiler territory, for those that haven't seen "Gone Girl." Therefore, I would highly recommend you skip the following highlighted paragraph. 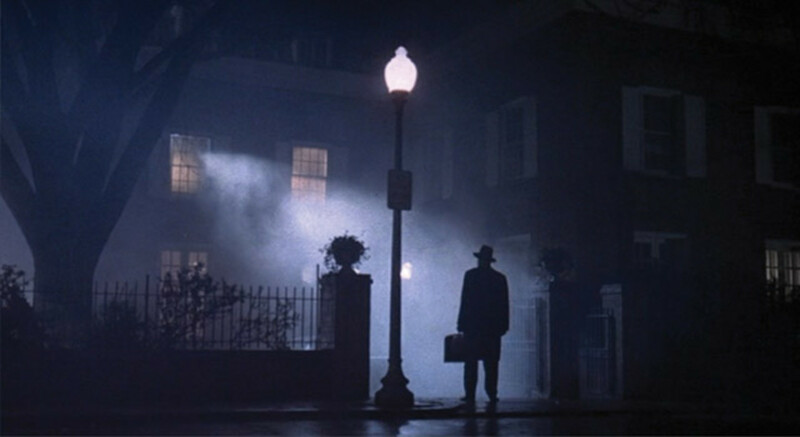 However, if you've seen the film before, or you simply don't care, then please read on at your own discretion. When you watch "Gone Girl", you'll notice how easily Rosamund Pike manages to sell you on the prospect that she could easily go from being a devoted housewife, to coming off as a textbook sociopath instantly. It's quite an interesting film to watch, as you never see it coming. And, she pulls it off quite easily to where you genuinely buy that she's a sociopath. Although Julianne Moore delivered a more emotionally potent performance in "Still Alice", but I wouldn't sleep on Rosamund Pike either. Plus, Julianne Moore might have to overcome the infamous "Norbit" curse that many believe may have cost Eddie Murphy a well deserved Oscar for his performance in "Dreamgirls." When Eddie Murphy was nominated, almost everyone thought he was a lock to win his first Oscar that year, but it never happened. During the Academy Awards, another infamous Eddie Murphy film was already out in theaters called "Norbit." It was a racially offensive comedy that was universally panned by film critics everywhere, and it's been rumored for awhile that Oscar voters may have voted against him simply because of "Norbit." Granted, we can't prove that, and some could argue that it was merely a coincidence. Fair enough. However, after doing a bit of research into this theory, I also found that Anne Hathaway might've suffered from the same curse as well. Back in 2008, Anne Hathaway starred in a film called "Rachel Getting Married", which earned her an Oscar nomination. Granted, she didn't win a SAG award like Murphy did, but she did star in a critically panned film that came out a month before the Oscars called "Bride Wars", which might've ruined her chances that year. To be honest, I doubt seriously that the "Seventh Son" will prove to be Julianne's "Norbit" curse, but you never know. 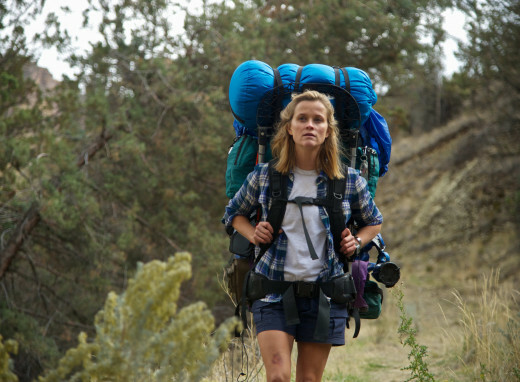 Reese Witherspoon (Wild)- Even though I have yet to write my review on this particular film, "Wild" was arguably one of the best character studies that I've ever seen. It features a protagonist using her long hike, as a means to help forget about her past. Along the way, she has various flashback about her mistakes in life, as she struggled with drug addiction and various infidelity issues. Although her character obviously wasn't a saint by any means, you could never bring yourself to hate her, even when she was clearly in the wrong. No matter what the film told us about her character, Reese was able to still make us want to root for her until the end. It was an interesting film to watch, but it's a damn shame she's not going to win anything for her trouble. As much as I loved her performance in "Wild", it wasn't anywhere near the level Rosamund Pike brought to "Gone Girl", nor did it have the same emotional impact that Julianne Moore had on "Still Alice." Sure, it'll be a nice nomination to add to Reese's resume, but I doubt she'll be walking away with Oscar this year. Felicity Jones (The Theory of Everything)- Another actress that's proving in Hollywood that she's not just another pretty face is Felicity Jones herself. I could watch her act all day, as one could argue she gives almost the same level of emotion that Julianne Moore delivered in "Still Alice." Watching Felicity play the wife of Steven Hawking, while struggling to take care of him and his kids was both heartbreaking and inspiring in a lot of ways. Sadly, her role is being vastly overshadowed by her fellow costar, Eddie Redmayne, who might be a potential Oscar lock as some experts are predicting. Hence, it's doubtful that Felicity will win an Oscar. Maybe someday, but not this year. Marion Cotillard (Two Days, One Night)- Before the Oscar nominations were announced, many film experts never predicted that Marion Cotillard would receive a nomination for "Best Actress." In fact, many thought Jennifer Aniston would be a lock for a nomination for her role in "Cake." However, a lot of them said the exact same thing about "The Lego Movie", but look how that turned out. The reality is Marion's nomination came literally out of nowhere for most people, as "Two Days, One Night" wasn't even nominated for "Best Foreign Language Film" this year. That's why it's doubtful she'll have a chance to win an Oscar here. Don't get me wrong, I loved the film myself, but it's rare to see an actor win an Oscar for acting in a foreign language movie. Who do you think should win the Oscar for "Best Actress?" Michael Keaton (Birdman)- I could be playing devil's advocate again considering that Michael Keaton may not even win this award. However, Michael Keaton did win a Golden Globe recently for his performance in "Birdman." Plus, he hasn't won an Oscar in his entire career. And if history has shown us one thing, it's that Oscar voters will sometimes reward actors for their careers versus the performance piece they were nominated for. Anyone remember Martin Landau in "Ed Wood?" Although I personally liked "Ed Wood", but the reality is Martin Landau didn't deserve the Oscar for that year. Therefore, it wouldn't be that shocking to see Michael Keaton finally win an Oscar because it would make such a terrific story. Since his "Batman" days, he really hasn't had too many big blockbuster films to his name, so this Oscar win could easily make him a comeback actor of the year; similar to how "Pulp Fiction" helped John Travolta revitalize his career. Granted, Travolta obviously didn't win an Oscar for that role, but the nomination alone did help out an awful lot. 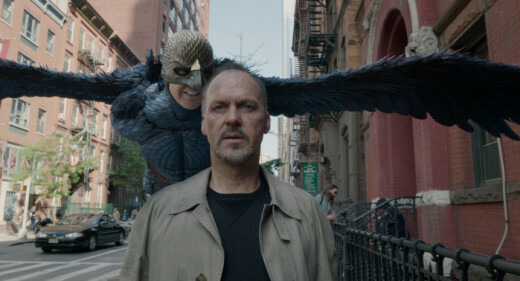 And even if Keaton doesn't win an Oscar, this nomination for "Birdman" could go a long way to revitalizing his career as an actor. However, unlike "Pulp Fiction", "Birdman" wasn't too heavily drenched in violence to turn off voters, and it's a story about the entertainment industry itself. And if "Argo" and "The Artist" proved one thing, it's that voters love to favor films that pay reference to the Hollywood industry in some way. Eddie Redmayne (The Theory of Everything)- As I write this hub, something tells me that I could be setting myself up to be wrong by favoring Keaton over Redmayne, but that's not to say that I doubt Eddie's chances either. Eddie Redmayne is definitely having a great year, as he's already garnered a SAG award for his role in "The Theory of Everything", which statistically makes him a front runner for "Best Actor." 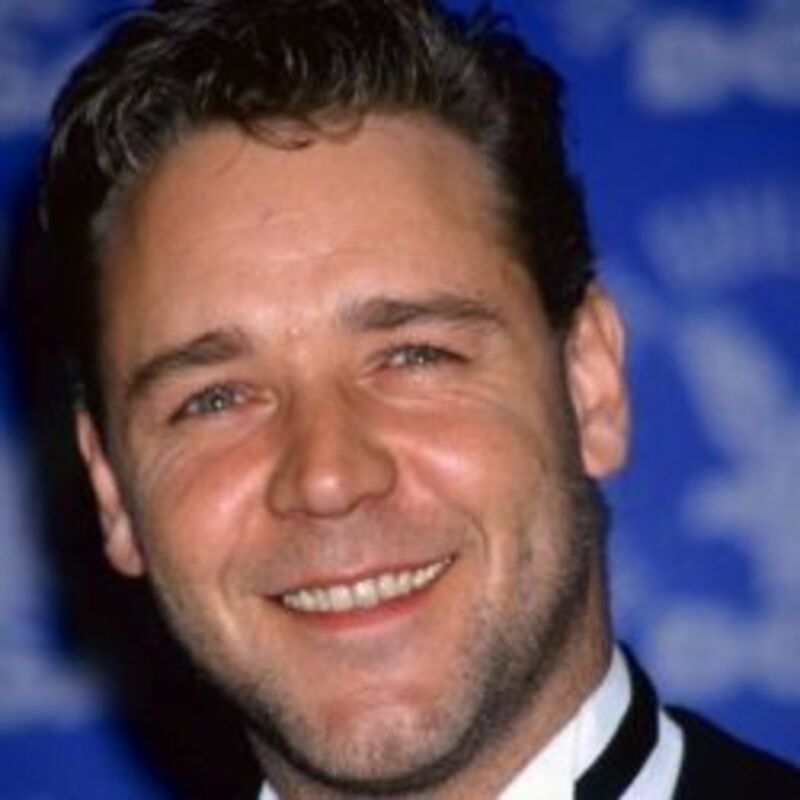 And with his recent success at the BAFTA and Golden Globes, it seems like he could be poised to win his first Academy Award. However, as I mentioned before, there have been instances in the past where the Academy will award an actor based on their body of work versus just the film they were nominated for, so it's plausible that Eddie may not win an Oscar this year. Plus if "The Norbit" curse reigns true, then Eddie's chances could dwindle quite fast considering his recent critically panned movie, "Jupiter Ascending", could cost him an Oscar. Bradley Cooper (American Sniper)- As I pointed out in my review of this film, Bradley Cooper did a great job in "American Sniper", and he's certainly deserving of his Oscar nomination. However, his performance was nowhere near as memorable as Keaton's was, nor did he match the emotional depth that Eddie gave us in "The Theory of Everything." Bradley Cooper is certainly proving that he's arguably one of the most versatile actors in Hollywood to date, but it's sad that he won't have a shot at an Oscar for this year. Benedict Cumberbatch (Imitation Game)- Ordinarily, I'd probably say that Benedict could pull off an upset here based purely on the fact that he's playing a homosexual guy in "Imitation Game." Not saying there's anything wrong with being gay, but let's face it. The Academy Awards are notorious for being politically correct half the time, to where I could've made a strong argument about Benedict being some type of dark horse in this category. 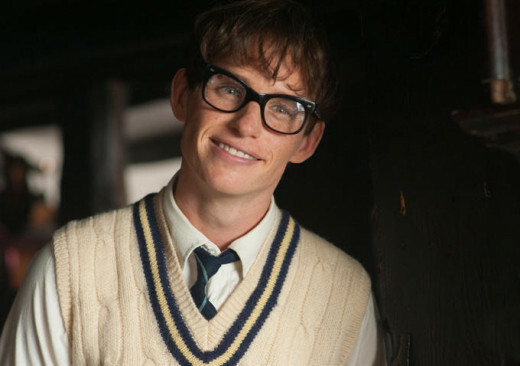 However, Eddie Redmayne delivered a great performance as Steven Hawking, who suffered most of his life due to "Motor Neuron Disease" (aka Lou Gehrig Disease). During "The Theory of Everything", Eddie sells you on the idea that not only is he suffering through each of the tragic stages that this disease incurs, but he becomes Steven Hawking himself. And unlike Benedict Cumberbatch, Eddie has been dominating at various other award shows for his performance in "Theory of Everything." Therefore, if political correctness does play a part in this year's Oscars, then it'll most likely fall to Eddie Redmayne's performance this year, for playing the physically disabled Steven Hawking. 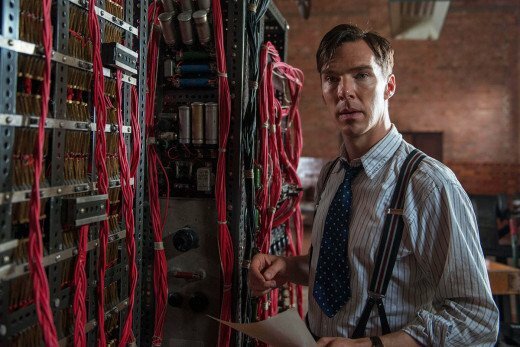 Not saying that Benedict Cumberbatch was any slouch, as I loved his role in "Imitation Game", but I doubt he'll walk away with an Oscar this year. Steve Carell (Foxcatcher)- Great actor. 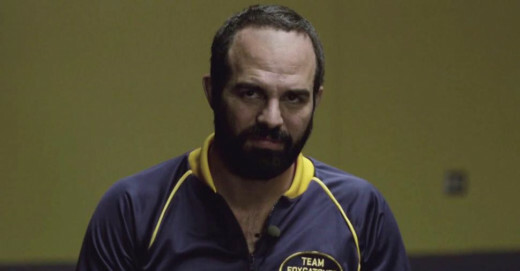 Solid performance in "Foxcatcher." What else can I say? Sadly, most comedic actors that take on dramatic roles, that can be deemed Oscar worthy, aren't taken that seriously most of the time. And given the evidence that I've seen thus far, I don't see any reason to believe that Steve Carell will win an Oscar this year. Who do you think should win the Oscar for "Best Actor?" 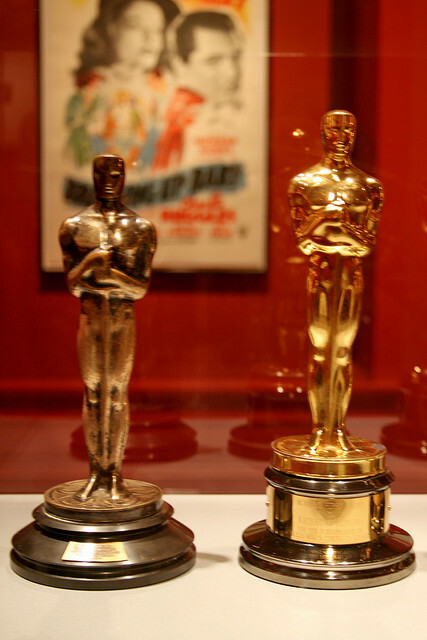 Racial Diversity (Or Lack Of) In The 2016 Oscars: Should This Be A Concern? Thanks. Although it probably won't get published until like after march 10 because i want to try to organize my oscar snubs in there as well. Your welcome to participate if you want, as you'll get a free shout out for your profile if you do. You don't have to, but i'm just saying if you want free publicity on here. Just say what your personal oscar snubs are in this forum link, and i'll mention you in the oscar wrap up hub. I did think Michael Keaton deserved it, but in regards to the quality of acting, as you said Eddie Redmayne did deliver a better performance. And I will definitely check out your best picture Hub. Thanks. I'm glad you liked it. You should come back for my Oscar wrap up hub that I'll be publishing soon, as I usually like to honor the best picture film. Although to be honest, I was kind of disappointed Michael Keaton didn't win because he was actually one of my favorite actors growing up, but I can't fault the Academy for giving the best actor award to eddie redmayne considering he did deliver arguably the better performance. You have put in great effort for this Hub. JK Simmons, Julianne Moore and Patricia Arquette are certain to win. 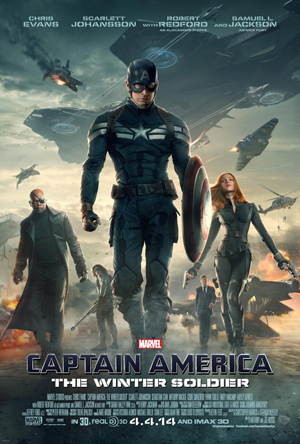 The Best Adapted Screenplay Oscar is up for grabs, and Captain America 2 should win for Visual Effects.